Struggling to breathe with sinus troubles can keep you from getting a good night's sleep. But a new study suggests that surgery to deal with chronically stuffed sinuses can help people breathe and sleep better, including people with sleep apnea. Recently, a sleep apnea patient came to my office after stopping his CPAP therapy. He was fit for the CPAP mask about 6 weeks ago. During the exam, he raised some issues that we commonly hear from patients. Are The Holidays Affecting Your Sleep? While the holidays are often a time of joy, they can also be stressful. The demands to shop, clean, wrap presents, attend social functions and prepare for visitors may come at a cost. For many, the holidays demand sacrificing sleep in order to get everything done. 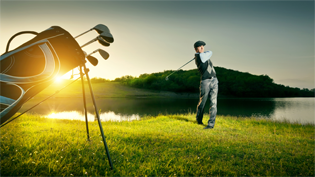 PAP Helps Golfers with Sleep Apnea Improve Their Game. Obstructive sleep apnea syndrome (OSAS) not only is a risk factor for hypertension, cardiac disease and stroke but also has negative effects on neurocognitive performance, including memory and concentration. Regular use of positive airway pressure (PAP) reduces the frequency of respiratory disturbances and improves the overall quality of sleep, but its effect on OSAS-associated neurocognitive deficits has been debated. Red Book and Good Housekeeping magazines highlight BergerHenry ENT in this month's issue. 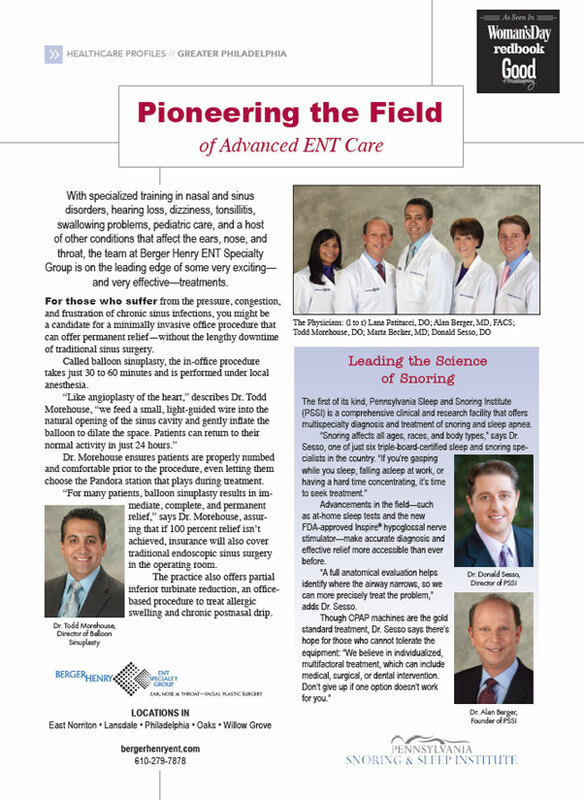 With specialized training in nasal and sinus disorders, hearing loss, dizziness, tonsillitis, swallowing problems, pediatric care, and a host of other conditions that affect the ears, nose, and throat, the team at Berger Henry ENT Specialty Group is on the leading edge of some very exciting and very effective treatments.